When Naked Communications launched in 2000, it almost single-handedly appropriated the word 'creative' for a media discipline that had previously been characterised by commoditised trading. Naked might not have invented the notion that media strategy was a standalone discipline, but it gave media thinking a credibility, a value and a magnetism for brilliant talent that transformed the industry. The agency's dazzlingly brilliant trajectory and subsequent demise infer that its relevance was limited to a moment in time. Here, its alumni explore what made Naked special and why its legacy is still very much alive and thriving. So Naked is closing its London office – a shame but inevitable, really. Rather than dwell on why this has happened, I would rather focus on the legacy and the past. Naked changed the agency landscape more than any other shop in the world over the past 20 years. I’m not just saying that because I was part of the team who did this. I now have a good abstraction on its impact, having worked outside the business for the past four years and spoken to many clients, agencies, competitors and collaborators about their perspectives on Naked. The underlying philosophy was simple: everything communicates. The agency was media-neutral, providing objective strategic and creative advice for clients, agencies and media owners that wanted to do things differently to help them navigate the fragmenting landscape that we were all facing. Naked was a force for good: we hired amazing people. We called them "brilliant misfits" – people who were super-smart, inquisitive but felt the traditional siloed landscape of agencies prohibited the best work. We forced media agencies to change, creative agencies to expand their horizons and holding companies to organise themselves differently. Many clients also adopted Naked-like approaches to their communications development after working with us. Perhaps the thing I loved most about Naked was that it was a naughty, mischievous and funny place to work. Many, many people who worked there have told me many times that it was the happiest working era of their lives – and that makes me proud. My last year at Naked was tinged with deep sadness – losing John [Harlow, pictured, bottom left] hurt, feeling adrift from the business and the vision we created hurt. But I can now look back at the Naked era as a defining one for our industry. Many of the Naked alumni have continued to change the game, break things, have fun – and most would admit they’re still Naked inside! 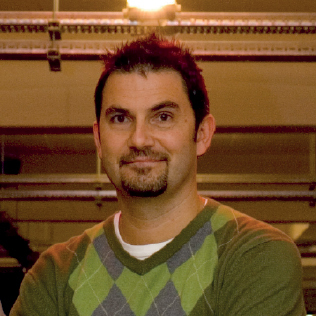 Jon Wilkins is the executive chairman of Karmarama. He is a founder of Naked and worked there until 2013. From our beginnings in a cabin on the good ship HMS President, the "three men in a boat" – Jon Wilkins, John Harlow and myself – saw the company we founded explode on to the UK agency scene. It succeeded beyond our wildest imaginations. Within a year, we were picked as Agency of the Year by Media Week. We did great work and won awards, pitches and plaudits. But, more than that, we changed the industry for the better. Our founding beliefs and ideas – most succinctly captured as "everything communicates" – started out as fringe heresy but went on to be imitated by agencies of every type. We were blessed with an unfair share of London’s finest talent passing through our doors: our "brilliant misfits". Their names are too numerous to list here, but I can’t leave without mentioning: Matt Hardisty and Ben Milligan (employees number one and two); Hannah Measures; Barry Dudley; Tracy De Groose; Niku Banaie; Faris Yakob; Ben Richards; Ivan Pollard; and Lorenzo Fruzza. Along the way, we lost the spectacular, troubled genius Harlow, who tragically succumbed to his demons. Rest in peace, Mr H.
On more than one occasion, people have commented to me that Naked’s success always contained the seeds of its eventual demise. We challenged and then changed the industry: mission accomplished. We re-engineered clients’ approach to communications: job done. We grew an international business and then sold it. So as I empty my locker, surrounded by the packing boxes and bin bags of an office being closed down, what final thoughts remain? I can’t believe how lucky we were. Right place, right time. But also right people and right idea. We made our own luck. That’s the essence of entrepreneurship. 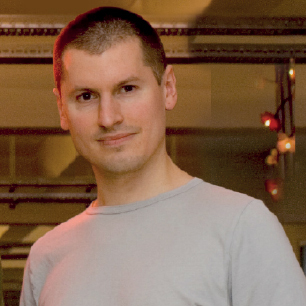 Will Collin is a founder of Naked and worked at the London office until its closure. I remember when I interviewed to join Naked, I felt I’d found a home full of people who were all different but like-minded in the way they wanted to make a difference. Naked people wanted to challenge the status quo and they didn’t want to fit into existing structures and ways of working as they recognised this was holding our industry back. John Harlow summed us up in a phrase that still resonates with me now – that we were "brilliant misfits". At Naked, there was a realisation that diversity sat at the very heart of creativity. It was Naked’s culture, which celebrated difference, that led to the daily collision of perspectives that created fresh ideas and new ways of solving problems. While there are many lessons from my Naked days that I have carried with me throughout my career, this is the one that I have held closest and is most poignant now. We are entering a new era of creativity, where everyone will have a role to play and a contribution to make, just like we did at Naked. Creativity will be everyone’s responsibility and will come from the collision of art and science, algorithm and emotion, hearts and minds. And, as we develop a creative economy together, the philosophy of "brilliant misfits" is more relevant than ever. 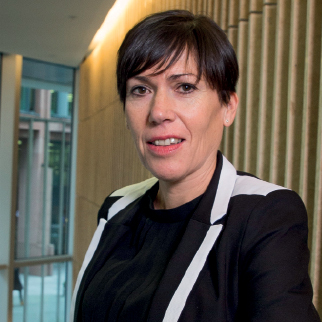 Tracy De Groose is the UK and Ireland chief executive of Dentsu Aegis Network. She worked at Naked from 2002 to 2008. Naked changed the agency conversation and then proceeded to change the agency landscape. The places we work, the way we work and how we think about communications have all been influenced and changed by Naked. Here was a company that looked at traditional agencies and found another way – no departments, one title for everyone (strategist), digital infused through everything, "naked" thinking around a client problem with no creative production machine to feed, answers that the client needed, not what the agency needed to sell. It was infectious. We took pride in being "brilliant misfits" who didn’t fit neatly into traditional agency structures. It wasn’t about hierarchies, titles or offices; it was about creative problem-solving, platform thinking and interactive ideas. The trouble was the agency world caught up. Media agencies became more creative, ad agencies focused more on places and spaces that their ideas were living in and everyone "got digital". And Naked didn’t keep on leading the conversation. It became just another agency and an agency that didn’t produce anything. Naked grounded my beliefs on how brands were built in the 21st century. I went from Naked to VCCP, where I found an agency that not only developed fantastic brand platforms and integrated ideas but executed them brilliantly – and I found my voice as a planner. Ironically, as Naked winds down, it feels like the time could be right for a new kind of naked agency, breathing new life into Naked’s founding principles. 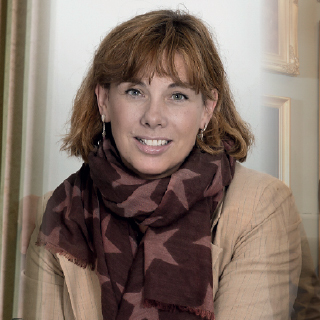 Amelia Torode is the former chief strategy officer at TBWA\London. She worked at Naked from 2005 to 2006. I write to praise Naked, not bury it. Despite the New York office and now the original one in London closing, the brand still lives on down under and its impact lives on throughout the communications industry. In some ways, even calling the industry communications rather than advertising is testament to its impact. Naked developed communication strategy as an integrated discipline, straddling the gap that had opened up between creative and media. It hired what it called "brilliant misfits". I was employee number 12 but, even by then, Naked was flying high on branding and business results that made the agency the envy of the industry. At Naked, I learned to try to solve client problems from an objective point of view, to architect solutions across channels and beyond, to generate innovative ideas that didn’t fit inside the standard boxes of advertising and to collaborate with all different kinds of agencies. All these things inform what we do at Genius Steals and the Naked diaspora spread the same thinking far and wide. The worldwide chief strategy officer at Ogilvy & Mather and architect of its integration process [Ben Richards]; the chief executive and chief strategy officer of the newly integrated Havas Australia [Mike Wilson and Imogen Hewitt]; the founder of Percolate, a "system of record for marketing" [Noah Brier]; the new-look, one-brand Coca-Cola [led by senior vice-president of strategic marketing Ivan Pollard] – all these reflect the thinking developed at Naked that its alumni took to their next jobs. The four "Naked truths" [everything communicates; people are your partners; there is a better way; see the full picture] are just as relevant today and Naked’s original hybrid consulting and creativity model is on the rise, as evinced by the seemingly endless acquisition of agencies by big consultancies. Don’t get me wrong: Naked had its problems, both personal and professional. But I’ve never worked with such a brilliant, charming and fun group of misfits and I love them dearly – I had lunch with a couple of them in Sydney just the other day. I had the privilege of working in the London, Sydney and New York offices, and those people are like family. Dysfunctional, brilliant, infuriating and for life. 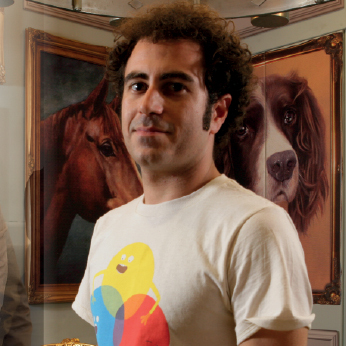 Faris Yakob is a founding partner at Genius Steals. He worked at Naked from 2003 to 2009.